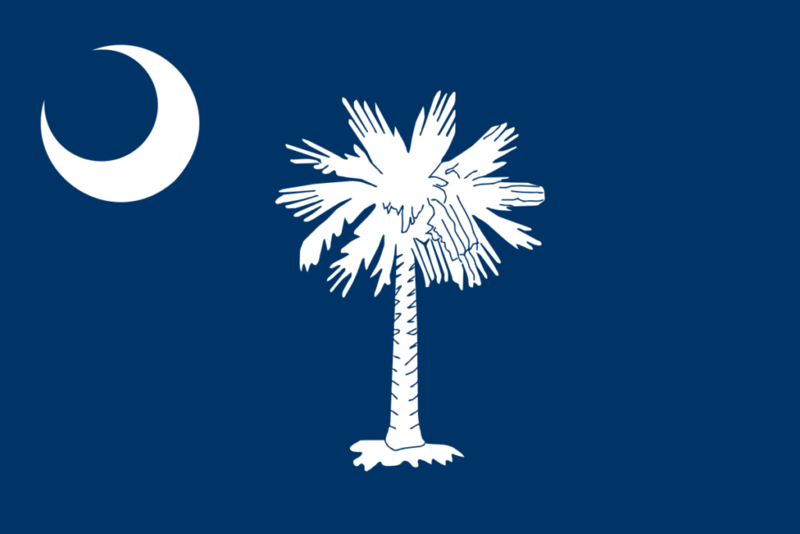 Columbia is the capital and second largest city in South Carolina, the Palmetto State. The city resides in Richland County and extends into Lexington County. With a population of 134,309, Columbia is full of art, music, opera and theater. Hot spots like The Columbia Marionette Theatre, a thirty-foot stage that provides different sized puppets and The Lexington County Museum, a building with 36 historic structures dating back to the Civil War keeps the city full of tourists. Columbia has multiple ongoing initiatives, such as redeveloping areas like Bull Street and aiding victims of tragedy and natural disaster in other areas. According to one local newspaper, most fast food chains throughout the state are host to drug deals each day, and more people lose their lives to overdoses (generally heroin and opioids in SC) than they do to automobile accidents. If you live in Columbia, and have fallen victim to substance abuse don’t hesitate to seek treatment. There are enormous resources in at your disposal. Due to its large population, Columbia is also filled with crime. In fact, the city scored a 2 out of 100, with 100 being the safest. It is believed that the crime rate is also due to drug use, specifically opioids. Opioids consist of heroin, synthetic drugs like fentanyl and prescription pain medication like Vicodin, hydrocodone, oxycodone, methadone and Buprenorphine, etc. Prescription opioids are often nicknamed Percs, Vikes, OC, Hillbilly Heroin, Happy Pills, and Oxy. Recently, federal authorities seized almost 30 pounds of drugs, 16 pounds of methamphetamine, nine pounds of heroin and three pounds of fentanyl in the Midlands, centered in Columbia. Opioid addiction is being battled across the United States and in 2016, 42,000 people died from opioid overdose, 40 percent of them caused by prescription opioids. In 2017, 66,324 died from a drug overdose. For the state of South Carolina, there were 550 opioid overdose deaths in 2016, surpassing the number of homicides. In 2016, almost 5,000,000 prescription opioids were prescribed to patients in South Carolina. With a population of 5.02 million that is essentially, one prescription per person in the state. Orangeburg, two counties south of Richland County has a population of 89,000 and 85,000 opioid prescriptions were prescribed for the same year. Next door neighbor, Calhoun County has a population of 14,800 and saw a lower number of prescription opioids at 1,700. One of the reasons for the high level of drug use and addiction in Columbia is simply the transportation options within the city. The airport offers flights directly to New York and to Houston. Paired with personal aircraft and seaports such as Charleston that greet drugs from international waters, there is much trafficking of illicit substances. Youth gangs both those with ties to the well-known gangs like the Bloods and the Crips based out of Los Angeles and other groups such as the Insane Gangster Disciples distribute cocaine, heroin, and even marijuana across the state and throughout the city. Club drug levels are increasing in terms of usage in the city and state, and cocaine usage is high in other parts of the state where crack cocaine is easier to obtain. Columbia does partake in the statewide program that asks doctors to check and see if a person has been prescribed a painkiller by another doctor prior to giving it to them. In some cases, this helps as it prevents people from doctor shopping in order to obtain enough pills to feed their addiction. However, the prevalence of pills on the street and pills that are stolen from homes makes it easy to obtain the substance regardless of whether a person actually sees a doctor or not. The overdoses in Columbia point to opioids and heroin being the drug of choice throughout the state. Prevention and general awareness has been greatly increased through the discussion of people’s personal stories; especially stories offered up by those who have lost a loved one to the addiction battle. The Department of Alcohol and Other Drug Abuse Services, The S.C. House Opioid Abuse Prevention Study Committee and The Governor’s Office have worked together in an effort to design a campaign that targets opioid abuse called “Just Plain Killers”. Just Plain Killers is about education and spreading awareness to show that resources are available. The South Carolina House Opioid Abuse Prevention Study Committee has recommended that prescriptions be limited since it is known that addiction starts with an opioid prescription. Research shows that addiction has come from emergency room or post-surgery prescription. Physicians must examine their practices of prescribing and use the South Carolina Reporting and Identification Prescription Tracking System (SCRIPTS) before they have prescribed a patient with opioids. This ensures that their patient is not already taking a medication which could result in a dangerous and fatal overdose. The opioid crisis has been recognized by the federal government as a nationwide pandemic. The South Caroline Legislature and federal government has appropriated funding to not only treat patients who have an opioid addiction but to prevent others from developing one. Funding has been made available for services and life-saving medications like Naloxone, which reverses an overdose. In 2016, this medication was administered 6,400 times by emergency personal in South Carolina. The funding also provides Medication Assisted Treatment options like Methadone, Buprenorphine and Naltrexone which along with counseling treatment can help a patient avoid a severe withdrawal while also blocking the affects of opioids. The movement of ending the war on opioids doesn’t start with people understanding that addiction is a disease, it starts with people helping people. It is possible for anyone out there to become addicted to opioids off one prescription that was prescribed after a surgery. Some people become addicted after having dental surgery, it wasn’t because that person went looking for the drugs. Having said that, once a person becomes addicted, they do going looking for the drugs. This isn’t a person who should be judged by society. This is a person who needs help. As mentioned above, Just Plain Killers is about educating and spreading awareness. There are plenty of websites online who are devoted to helping to educate people and spread awareness about harmful drugs like opioids, methamphetamines, cocaine, crack, etc. Knowledge holds a lot of power all on its own when it comes to the war against drugs. Education children is a pathway toward success. A young mind is maturing daily and during the teen years, the brain is maturing sections in the brain that cause poor decision making. It’s important to start early and educate children on the dangers of drugs. Many teens believe that taking opioid prescription drugs are safe since they are prescribed by a doctor. There are many ways to spread awareness. With social media being such a viral platform of positive trends for healthy and green living, it can also be used to spread drug awareness. Social media in itself has an addiction factor but when spreading positive messages, maybe that’s not such a bad thing. Negative influences however, can lead to a drug problem. If a prescription is no longer needed, it’s time to toss it. The trashcan and the toilet are no place for unwanted pills. They can be easily found as people dig through the trash looking for them and flushing them down the toilet contaminates the water supply. Instead, there are many drop boxes located in South Carolina to drop off unwanted prescriptions. For those taking medication, it’s important to keep them locked up. Children and teens will rummage through medicine cabinets to find pain pills like Vicodin or Percocet. Friends and family members addicted to opioids will also look around for them as well. Locking them up allows medication to stay in safe hands and away from those addicted to it. This last tip is for patients who currently have prescription opioids and uses them sensibly. However, talking with a doctor about other alternatives would be the best thing to do to move from taking opioids because they are so highly addictive. There are healthier ways to find pain treatment. Education and awareness are two of the best approaches to winning the fight against drug addiction. Seeking assistance is another great way. People should be encouraged to seek treatment for their addiction. Those who have already been to rehab can help to encourage friends to either go to rehab or to a support group with them. People need to be encouraged to get help, not judged. Open and honestly tell that person that you believe they have an addiction to drugs. “I’ve been concerned about you lately because you haven’t seemed like yourself.”- This is generally a good opening sentence to use. It’s not judgmental and it may encourage someone who is addicted to drugs to talk. Using guilt phrases like “do it for the kids”, “If you really loved me” or “don’t you even care about your life” will not lead to an open line of communication and could in fact, lead to an even stronger addiction. Encourage professional help because addiction is a very complex illness and drug rehabilitation can provide a great foundation for one to rebuild their life on. Encourage alternative activities instead of drug use such as playing sports or exercising, both can boost serotonin in the body which gives off a natural high. Join a support group. While you are trying to help a friend, family member or co-worker, joining a support group can help maintain positive energy throughout the process. It can also be a great way to express some negativity such as being agitated or stressed, things that cannot been shown to the person you are trying to support. Educate yourself about drug use and drug rehabilitation. There are many people who are addicted to drugs who do not want to go to rehab due to fear. By educating oneself about everything that goes into rehab, it can help to alleviate some of those fears. If you’re struggling with an addiction, or hurting for someone who is, we can help! We can provide you with the encouragement and guidance you need to follow through on that beautiful urge to live clean and sober. Let us help you find the Columbia recovery resources you need to get there! Due to the large numbers of individuals battling addiction within the state, there are numerous options when it comes to recovery. Whether an individual is seeking private or government rehab services, has insurance or is without, is admitting themselves or being admitted by a court order, there is something for everyone and many of the options are located within Salem city limits. However, if none of the Columbia options satisfy, other areas in the state have options for receiving help in both inpatient and outpatient services as well. Whatever route an individual decides to follow when seeking help, it is vital that an aftercare plan is in place for the time period when the initial treatment has ended. Even after returning to society or passing benchmarks for sobriety, triggers such as lifestyle changes may still lead to a relapse. Having an aftercare plan in place helps ensure the recovery will truly be long lasting. Aftercare plans in which individuals “check in” and receive remedial work/information are very common. However, for individuals needing more than occasional realignment, options such as sober living communities exist, where people trying to stay clean live and work together and follow a set of house standards and rules. There are many different options, particularly in major cities like Columbia. These options include those that are faith based and those that are non faith based. Regardless of the route, recovery is worth the effort. Not only does it benefit the individual, but it also helps the entire community. Lower rates of addiction mean many benefits for the community at large, including less strain on insurance, hospitals, and emergency rooms. They also mean lower rates of violent crime and better family situations. Local law enforcement are able to save time on drug arrests and focus more on preventing violent crimes and keeping the community safe. Tax dollars are saved by the millions. Furthermore, there would be lower rates of HIV and Hepatitis C and that kind of transferable disease with lower rates of drug use. Prostitution rates might decline as well. For Columbia to continue to be the thriving, bustling city that it is, and to continue to grow and develop in healthy, holistic ways, it needs to fight to reclaim its youth and young adults. Previous drug education programs have since become outdated and are not as effective as they once were in the 1980’s and 1990’s. While drug researchers across the country work to develop new solutions and law enforcement officials work to find new ways to save lives and prevent crime, the one truth that has surfaced continues to that recovery benefits everyone. The possibilities related to recovery and renewal are endless. The United States of America, and specifically Columbia, as a society needs recovery as much as individuals struggling with addiction need it. What type drugs in the patient taking? When did the patient last use drugs? Was alcohol also used in combination with the drugs? Does the patient have any mental health disorders? Are there any signs of anxiety or depression? Is the patient having suicidal thoughts? Does the patient have a healthy support system? Is the patient married or single? Does the patient have children? Does the patient still live at home with the parents? All the information gathered during the assessment will be used to help doctors and staff know what sort of treatment would be best for the patient. It’s important to provide accurate information so the best diagnosis can be made. Without providing the correct information, a wrong diagnosis can be made causing the risk for relapse to increase. Lab tests will also be administered. In some cases, more tests may be taken. Financial arrangements will also be made at this time. Symptoms usually start to occur at 6-12 hours for short-acting opioids and 30 hours for long-acting opioids. The peak at the 72-hour mark. Detox can be very overwhelming for a patient, if this happens then a doctor will most likely describe a medication to help with drug cravings so that the symptoms will die down. CBT, a form of psychotherapy allows patients to get a better understanding of their own thoughts. This type of therapy works by modifying dysfunctional emotions, thoughts and behaviors. It focuses on solutions and encourages patients to challenge their distorted thinking. Distorted thoughts are things we tell ourselves even though we know they aren’t true. These thoughts stem from different things in life but one common factor among them is depression. Patients are offered other types of therapy as well such as art, acupuncture, meditation, yoga and music therapy. These are helpful for the body and the mind. Not only do they all relieve stress, but they also provide a patient with something positive to do while in rehab. Group therapy-While in RTC, patients will need to attend group therapy sessions. Within these sessions, it is important to express who one is feeling and what changes they have seen since entering the rehab. In many cases, patients have met a friend in rehab and a close bond is made between them while enduring rehab together. A program that takes place in a facility for 6 hours a day, 5-7 days a week. It is designed to help patients make a transition from life inside the facility to life outside of it. PHP teaches about trigger points and what can be done to help avoid them such as coping skills. A program that takes place in a facility for 3 hours a day, 3 days a week. It’s designed to help patients further make their transition while using group therapy as a focus point. The setting that IOP provides is one very similar to support groups, which becomes a huge part of a patient’s life once they have completed both inpatient and outpatient treatment. These groups are supportive and encouraging. It is important to sign up for one and attend it regularly. Support groups have people who are going through the same battles together and it gives them all an outlet to express their concerns, fears, strengths and even, their new-found freedom from addiction. Eating plenty of fruits and vegetables with minerals and vitamins in them can help maintain a positive mind frame while also making a person feel great. Learning a fitness regimen not only keeps a person busy, it fills a person with energy and even, a natural high. Take supplements that can help boost energy and mood as well. There are many different types out there. Take time to meditate. This is one of the best things to do. It helps to destress and really get in touch with our own feelings and emotions before they take over us. Learn a new sport: Basketball, football, tennis, etc. Take some classes: cooking, language, marital arts, etc. It truly doesn’t matter what one tries to incorporate into their life as long as it is positive and isn’t drugs. There you have it, the process of drug rehabilitation. It’s not as intimidating as it seems and can be a very rewarding experience for someone who is facing addiction which is many people in America. Raising awareness and educating people is only the beginning, convincing people to go to rehab and then to stay on the straight path is the solution to the drug crisis that the United States is facing. If you or someone that you know abuses drugs or has a drug addiction, get help.